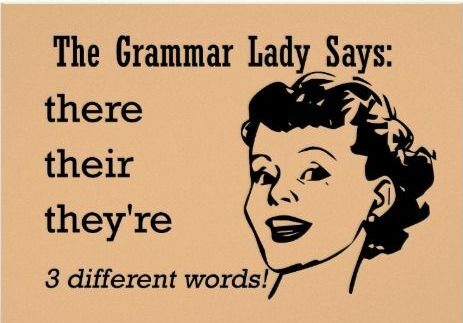 There, their, they’re – these words have different meanings, and spellings but they sound the same and therefore are called homophones. Native speakers, as well as second language speakers, get these words confused. Understanding the meaning of a word makes things much clearer, as the meaning points to what the part of speech the word is, and therefore how it should be used in a sentence. So let’s look at the meanings of these three. Which is the correct word usage in the following sentence? There/their/they’re planning to have there/their/they’re vacation over there/their/they’re. They’re planning to have their vacation over there. There, their, they’re, as a group of words figure in most lessons about ‘Commonly Confused Words’ in the English language. Knowing the difference in meaning helps to correct how they are used and spelled in English.